Don’t Miss The Holiday Train Roll Into Windsor This Wednesday! Magic will roll in on the rails on Wednesday. 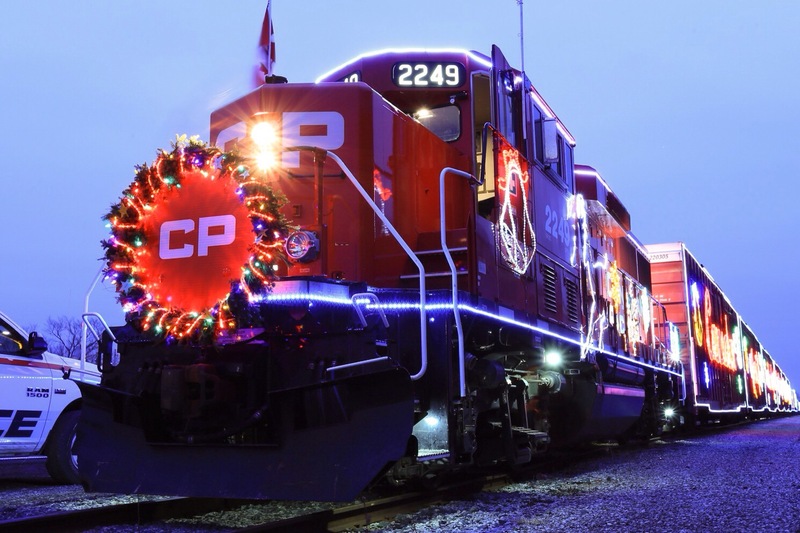 The Canadian Pacific Railway Holiday Train will arrive in Windsor at 4:30pm, according to organizers from the Food Bank Association. It arrives at the CP Train Yard at Erie Street West and Janette Street or on Caron Avenue, just off of Wyandotte Street West. The Holiday Train consists of 14 brightly decorated railcars in various festive themes, each decorated with hundreds of thousands of LED Christmas lights. Musicians traveling aboard the train will play a free concert that starts at 5:30pm from a boxcar that has been converted into a rolling stage. There will be a pecial appearance by the Marching Band from Anderdon School as well. Holiday Train organizers urge you to bring a food or monetary donation to support 15 local food banks. The train leaves shortly after 6:15pm, once the concert finishes.